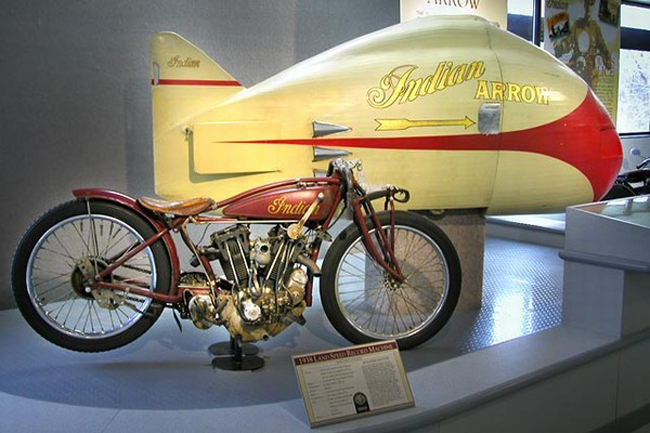 In 1937, Harley-Davidson set a land speed record of 136.183 miles per hour at Daytona Beach, which did not go unnoticed by their rivals at the Indian Motorcycle Company. 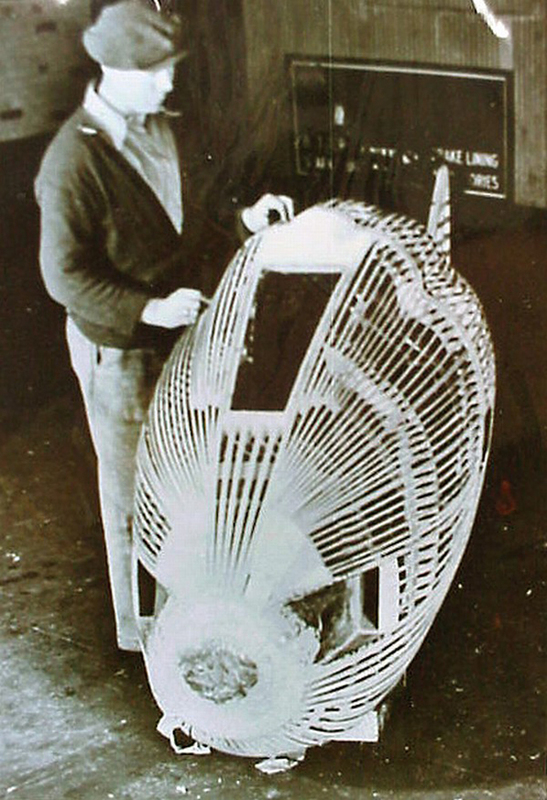 The record had been set using a partially streamlined Knucklehead, ridden by Joe Petrali. 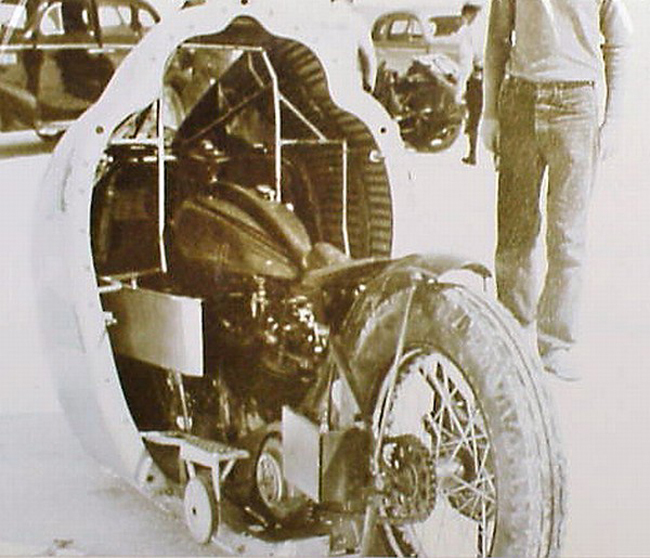 Indian took this idea one step further and designed a streamliner that completely enclosed the motorcycle. A two piece body was built using a framework of steel tubing and aircraft grade spruce, covered with a skin of plywood and linen. Sure, this may have been a light and strong design, but the potential for "death by splinters" seems pretty high. The body was then bolted around the motorcycle in a way that reminds me of those plastic eggs that come out in stores around Easter. This along with it's egg-like shape evokes images of the rider "hatching" after the end of each run. The motorcycle was built by West Coast Indian distributor Hap Alzina using parts from a Scout 101 board track racer and was powered by a 61 cubic inch motor. The rider navigated the motorcycle by looking through a porthole set in the center of the body. Veteran racer Fred Ludlow was chosen to pilot the Arrow. 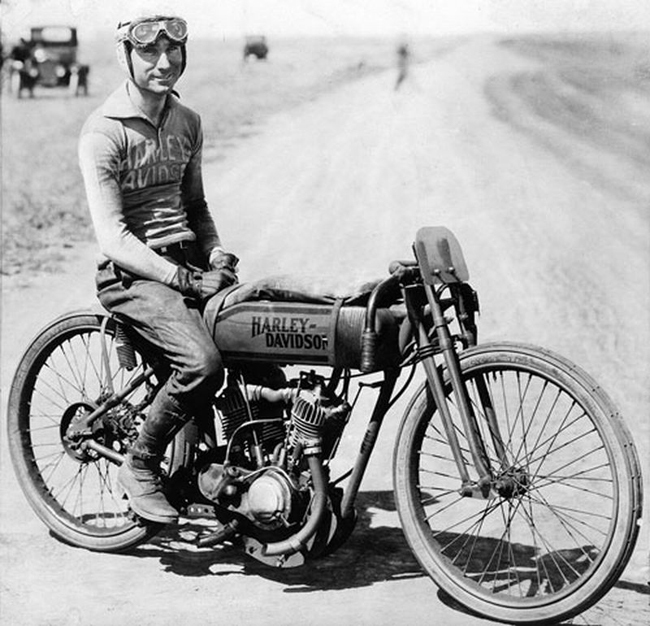 Ludlow started his racing career on the boardtracks in 1910's riding for Indian, but after WWI had switched to the Harley-Davidson racing team. 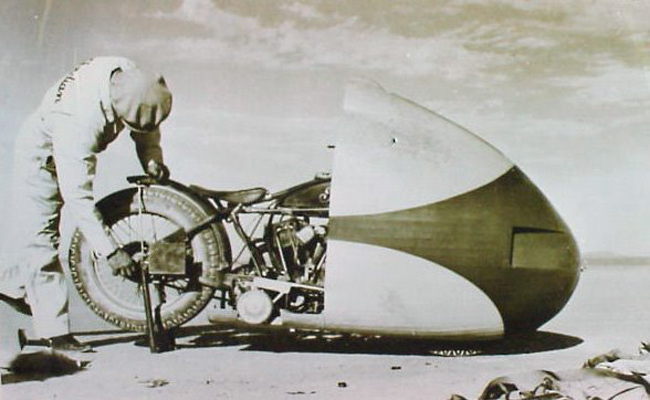 At age 43, he was back with Indian for the land speed attempt. Initial testing at a dry lake bed in Muroc, California proved the Arrow to be road worthy enough to warrant a trip to the Salt Flats. On it's first day out on the salt, the Arrow blew a tire during it's second run. The Arrow was repaired overnight and was ready to make another attempt at a record the next day. This time the motorcycle reached a speed of 135 miles per hour before going into a high speed wobble. Adjustments were made and on the third day the Arrow was back out for another try. Again Ludlow experienced a high speed wobble, which was so violent that he lost hold of the handlebars. After this fourth unsuccessful run and faced with a potentially fatal handling problem, Alzina decided to sideline the Arrow altogether, never to be raced again.